Using paper cups for family picnics and kid’s birthday parties is just so pedestrian. 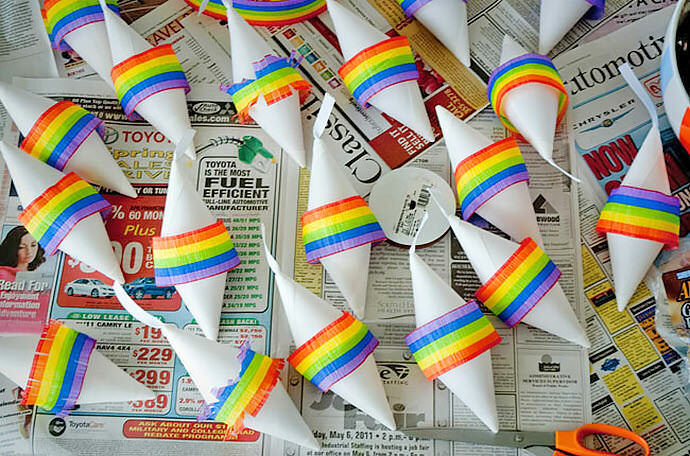 Even though I’m itching to make lots of summer plans including paper cups in their traditional form, there is a large world of crafty possibilities just waiting for the leftover party gear. 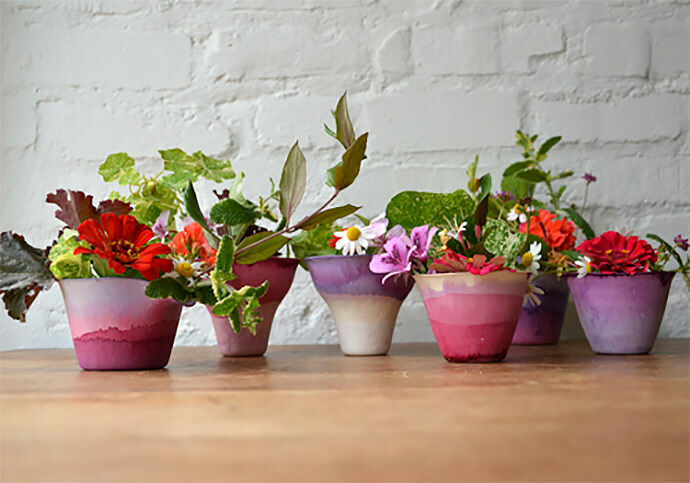 With these projects, you’ll find out the sky is the limit when it comes to the humble throw away cup. 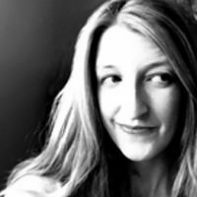 Crowns (I’ve seen party hats, too), presents, garlands, or piñatas, the list goes on—even beyond what I’ve gathered here. Now all we have to do is find the perfect pattern and color to get the projects flowing. Visit Paper Mash for the tutorial. 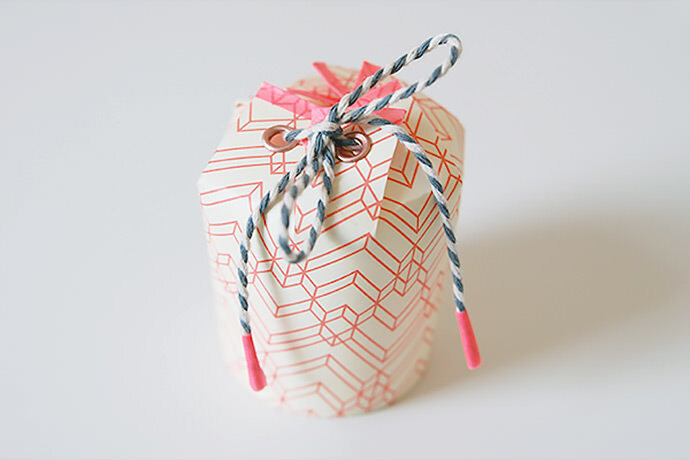 Perfect for party favors and those last-minute gifts when you can’t find a box. These Gift Boxes look so extra special – and I love the colors they chose. Visit Design*Sponge for the tutorial. I’m betting the key to the high-end look of these containers is the cups themselves. They used compostable cups from Wasara, which look pretty amazing even when they’re plain. Visit Lowe’s for the tutorial. I’ve always loved the old-fashioned cone-shaped cups, and now I have the perfect excuse to get some. I’d love to have a collection of these scattered across the ceiling of my girl’s bedroom. Visit Julep for the tutorial. 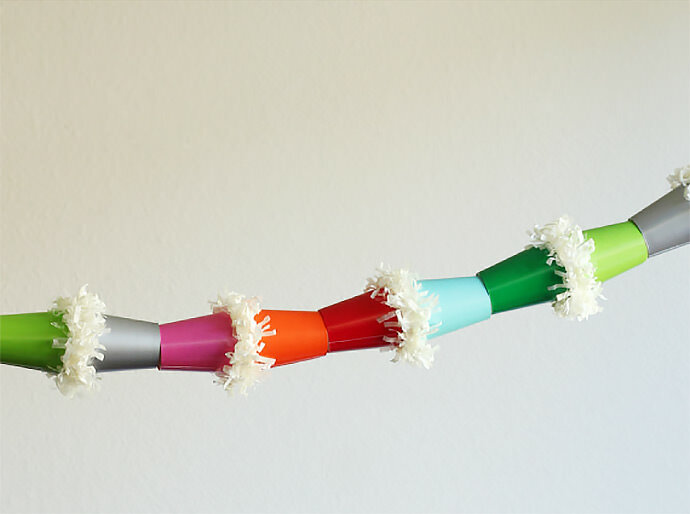 This garland is more interesting than all the others you’ll find at any party store – especially if you can make it in the same colors. Stuck in a neighborhood with only the ugliest paper cups available to you? No problem, just paint your own. Heck, I’d love to do this technique on lots of inexpensive white dishes too. Visit Chickabug for the tutorial. The white cone cups make these feel extra-unique, but they’d work just as well with regular paper cups too. 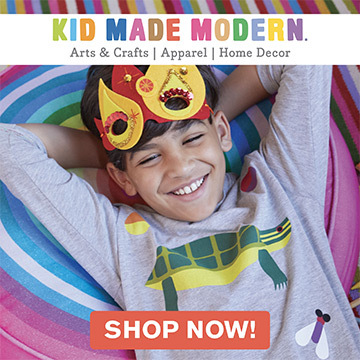 Either way, the kids in your life with love the surprises inside. 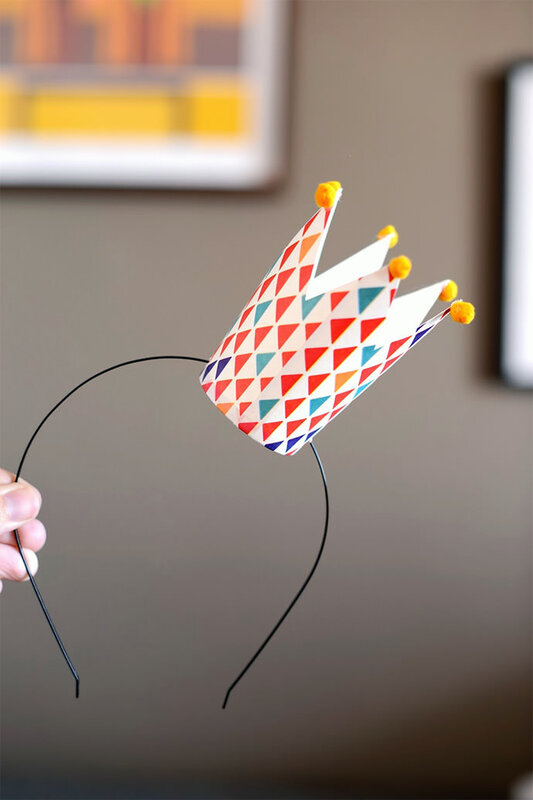 Pictured at the top of this post: Paper Cup Crown, visit Estefi Machado for the tutorial. Haha! Wow! 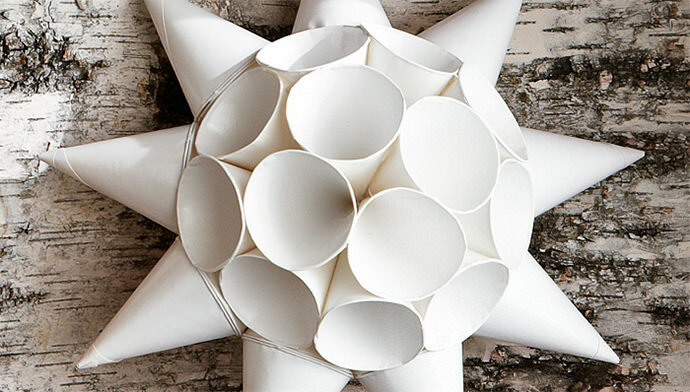 These are some great ways to use the paper cups. I love the little crown. And the water cooler star is pretty amazing. Must pin them! I love the headband and the cup star. They are righteous! such simple, but powerful impact. 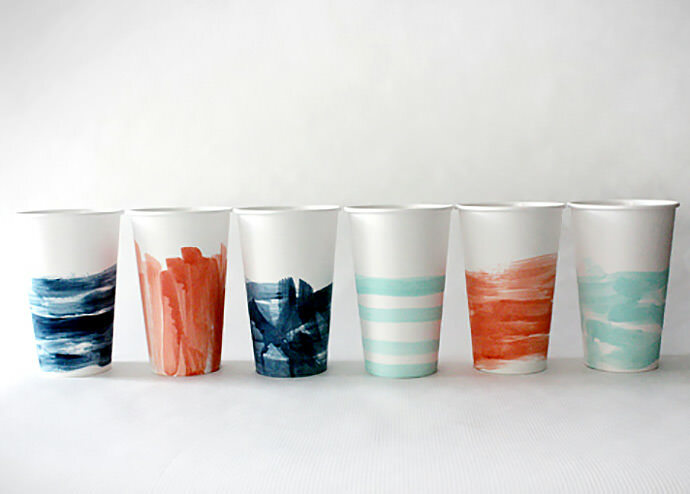 I like those craft ideas for paper cups.